Proprietary detailed production data are available from the Geomap Company. 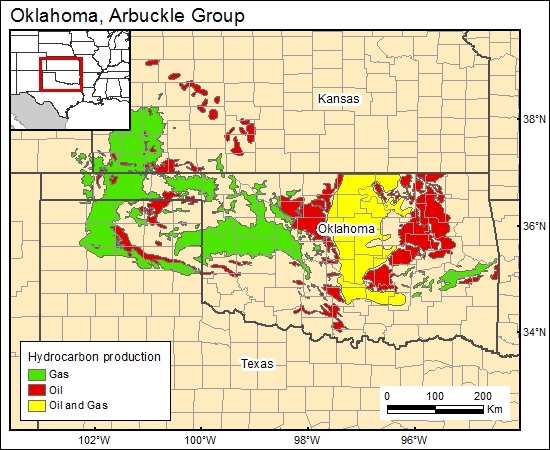 We used a public-domain map (Burchfield, 1985) showing the oil and gas fields of Oklahoma. Burchfield, M. R., 1985, Map of Oklahoma oil and gas fields: Oklahoma Geological Survey, Map GM-28.